Written and Media by Nick Corrigan. Tanner Smith is a one-of-a-kind individual. Between him and his brother, they claim to know everything. You might ask, “Hey Tanner, what is the square root of 74?” He will reply, “That’s probably something my brother would know.” It is a reference to the classic movie War of the Worlds featuring Tom Cruise. Tanner is full of movie references. As a guy who retains all sorts of information with relative ease, funny quotes will always sneak their way into a conversation. His favorite movie is The Dark Knight. This accounting major is one of the most talented volleyball players to come through Greenville. He has piled on the accolades throughout his career. Right now, one of his most impressive accolades is that he has a AAA rating for the CBVA (California Beach Volleyball Association). Pictured here is the AVP tournament at Hermosa Beach. Media by Nick Corrigan. His goal is to qualify for the AVP Beach Tour. 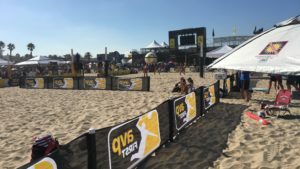 The AVP Beach Tour is a domestic volleyball league that hosts tournaments throughout the summer. They host a numerous amount of tournaments during the season. Of the seven tournaments that are hosted, three of them are within driving distance of Smith’s home in Redondo Beach, California. Last year, he competed in three AVP tournaments. Smith and his partner Devon Burki are a formidable duo. They compete well, but in those three tournaments, they have lost to some very good competitors. Before his professional career, Smith has had success on the beach at the high school level. Smith is a three-time AAU national champion for the beach. Each of these three championships came with three different partners. Smith is the only common denominator each of these three years. 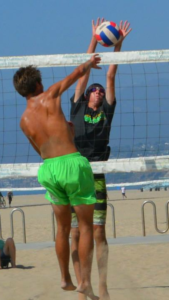 What makes Smith such a great beach volleyball player is his ball control. 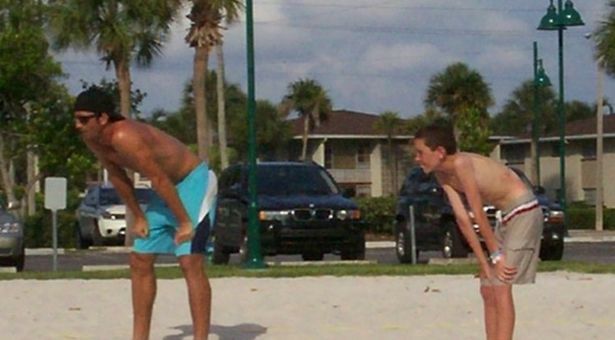 Ball control for beach volleyball is the most important aspect of anyone’s game. Smith can pass with the best of them. If you set him, look for him to place the ball exactly where he wants to every time. These skills have translated well into his college indoor career. Smith has not only found success on the beach, but his indoor career is also full of accolades. He played on his high school volleyball team freshman through junior year at Redondo Union High. 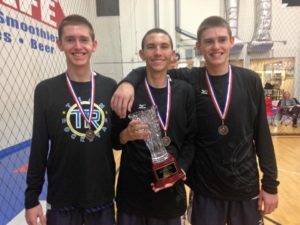 During Smith’s junior year, his team was ranked #2 in the nation for high school volleyball. He finished his high school career off on a talented Mira Costa team. Club volleyball is another important aspect for a volleyball player. Smith contributed well for Team Rockstar Club Volleyball. Smith and his teammates were recognized as one of the top 18s team in the nation. One of their traits was that they played super well as a team coupled with tremendous coaching. They were the kind of team that could compete with teams that had multiple division-one athletes. Smith and his teammates after finishing third place at a national tournament. Media by Katherine Smith. Tanner Smith combined with the sport of volleyball is a beautiful thing. Watching him play is a sight to behold. Smith makes it look way too easy. Do not ever underestimate him; he will make sure you regret it. His accolades speak for themselves. As time goes by, it seems as if he will only earn many more. When asked how long he can play volleyball competitively he said with confidence, “Until I’m at least 30.” His career is something that should be watched with great interest by anyone at Greenville. Great article Nick ! You are a good writer!